BIRMINGHAM — They were five little girls looking forward to the rest of their lives. Sarah Collins Rudolph lived to tell their story. She was 12 years old at the time; now she is 62. She and her sister Addie Mae walked to church that Sunday morning as they had done so many times before. Their Sunday school lesson that morning, “A Love that Forgives,” would test everyone in their town. Addie Mae, the big sister who liked to draw and play baseball, would never come home again. Sarah would never be whole again. 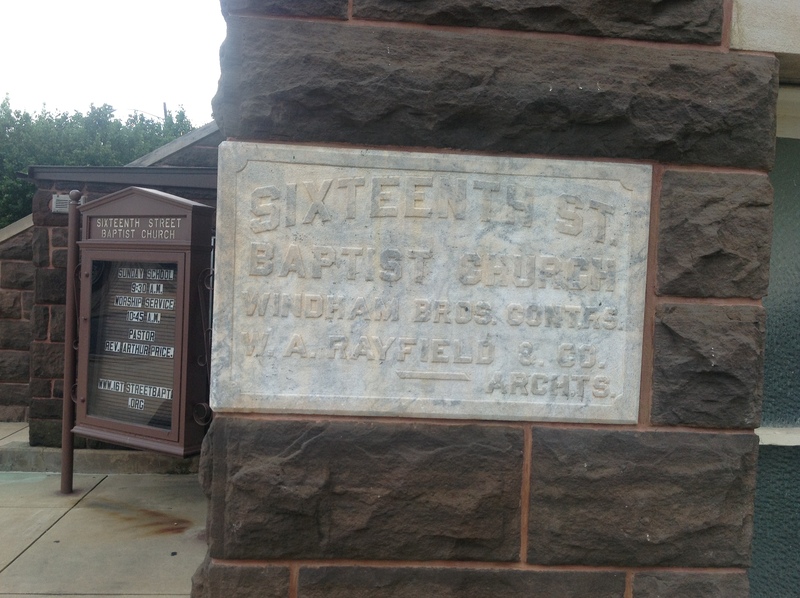 A flat gray tombstone marks the spot where 14 sticks of dynamite, rigged into a bomb, were planted just outside the ladies dressing room at 16th Street Baptist Church. It reads: “Sunday, Sept. 15, 1963. 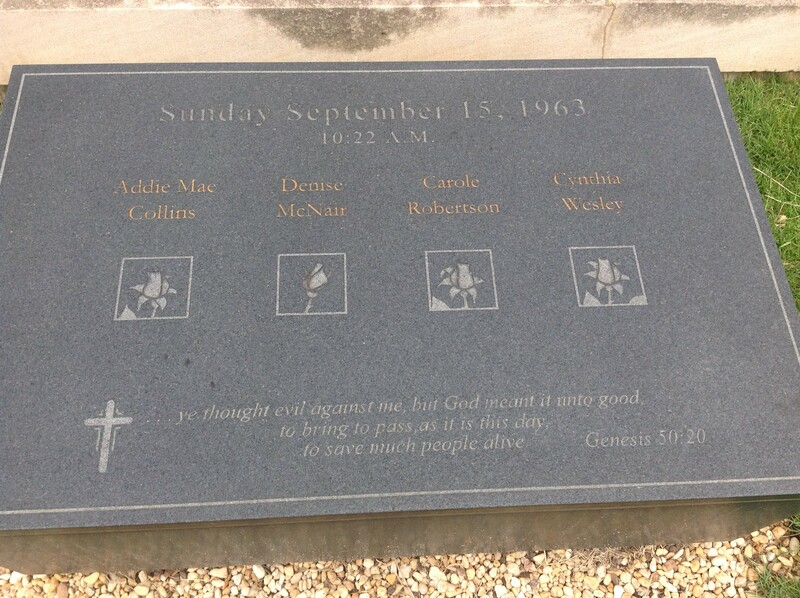 10:22 a.m.” There are four roses on the stone with the names of each murdered girl: Addie Mae Collins 14; Denise McNair, 11, Carole Robertson, 14 and Cynthia Wesley, 14. “Ye thought evil against me but God meant it unto good, to bring to pass as it is this day, to save much people alive.” Genesis 50:20. The bomb was planted by men who hated people they didn’t even know. They were men who believed they shouldn’t have to share schools and other public facilities with people they didn’t consider to be human. Led by the Rev. 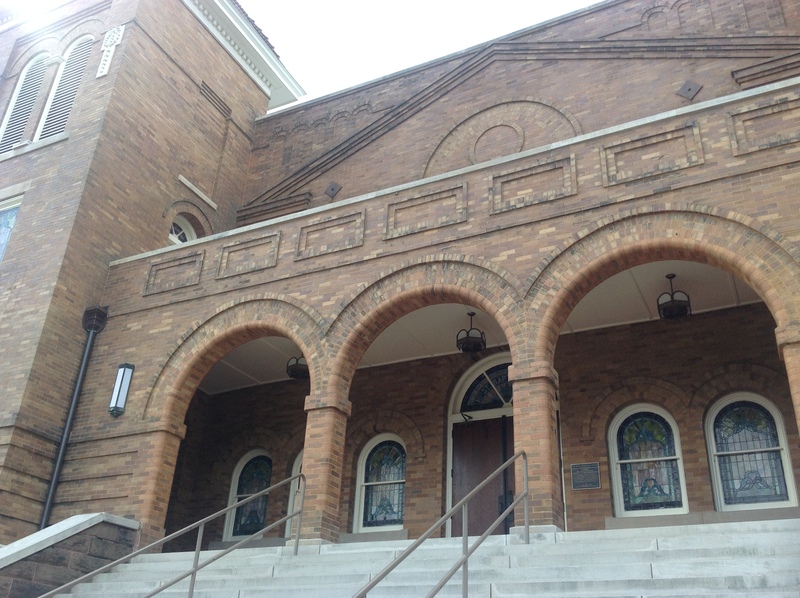 John Cross, 16th Street Baptist was one of several churches in Birmingham where African-Americans gathered to plan protests against segregated conditions. Across the street at Kelly Ingram Park, children and adult protesters were sprayed with high pressure water hoses when they would not leave. Police dogs were turned against them. Hundreds were arrested. But Birmingham’s business owners and city leaders held fast. That morning at 16th Street, Addie Mae, Denise, Cynthia and Carole didn’t have a care in the world. They were fixing their hair and making sure their dresses were perfect. Addie Mae and Sarah were preparing to sing in the choir. The last thing Sarah Collins Rudolph saw before she was blinded by glass and other debris was her sister, tying a sash on Denise McNair’s dress. In that instant, Sarah called for her sister, “Addie, Addie.” Then she called on Jesus to help them. Everything went dark. Later, at the hospital she overheard someone say her sister Addie was dead. A few weeks later, doctors told her she would lose her left eye if her right eye was not removed. To this day, she still has trouble performing simple tasks. When she drives, she worries that someone is going to ram their car into hers. She never had children and is on her third marriage. She still bears the facial scars from that day, which she covers with make up. She misses her sister. At least four men were believed to have constructed and planted the bomb ¬– “Dynamite Bob” Chambliss, Thomas Blanton Jr., Bobby Frank Cherry and Herman Cash. They were members of the Ku Klux Klan, a group that promoted violence and white supremacy. It would take decades before all three of them were convicted of murder. The last man went to prison in 2002. Cash died before his case could be brought to trial. Birmingham attorney Doug Jones was the U.S. Attorney who convicted Blanton and Cherry. The men were heartless and bragged about what they did. Fifty years after the murders, only one set of parents remain. Maxine and Chris McNair joined Rudolph and her husband George in Washington Tuesday where they received Congressional Medals posthumously for their loved ones. The medals signify the sacrifices of the girls and their families. Denise’s parents remember what was then their only child as a busy little girl who loved to know everything that was happening around her. In Spike Lee’s documentary “Four Little Girls” her father talked about the pain he felt explaining to his daughter why she couldn’t drink out of the same water fountain as white girls and why she couldn’t get a hamburger at a lunch counter. That pain cut deep, Chris McNair said in the documentary. 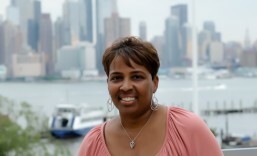 Cynthia Wesley was a girl known to everyone as compassionate and caring. She would do anything for a friend. Carole Robertson was looking forward to playing the clarinet in the band. You can’t come to this spot and not be moved to tears thinking about what happened here 50 years ago. Had I grown up in Alabama instead of Kentucky, I could very well have been in the ladies dressing room that day with my sister. On Saturday, a bronze statue of four little girls will be placed at the entrance of Kelly Ingram Park. 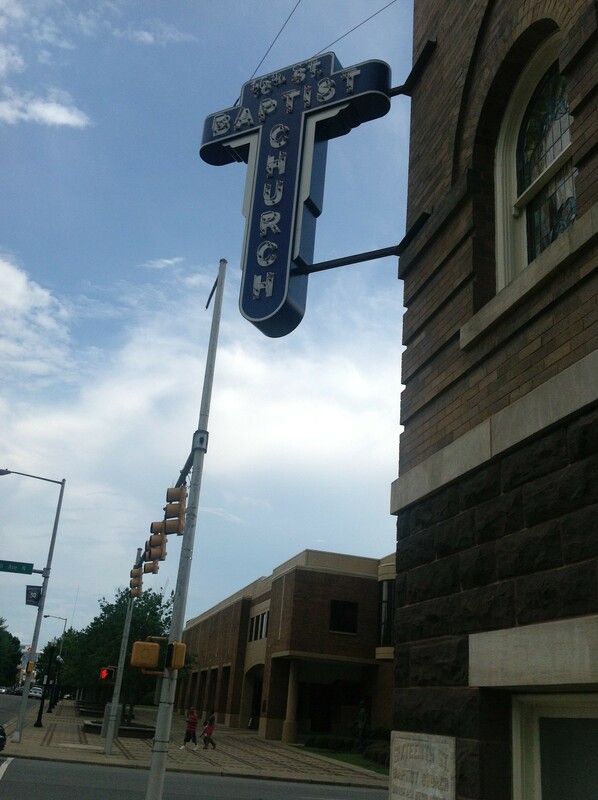 It will overlook 16th Street, where the Civil Rights Movement was galvanized like never before at 10:22 a.m. on Sunday, Sept. 15, 1963.